OPEN LETTER to Cardiff Cllrs for the full Council meeting Thursday 28th Feb.
Why is this matter on the busy budget agenda this Thursday after no hearing at a scrutiny committee? Does Cardiff's Labour Cabinet want to ram it through with minimal debate? Cardiff's CEO Jon House refused to rule Cabinet members Goodway and Govier have an 'interest' though both are leading members of the PG Joint Committee that approved the choice of Viridor. Prosiect Gwyrdd/incinerator – Reject Viridor law-breakers Details and references follow below. 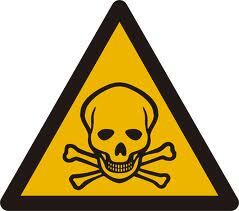 For Cardiff Councillors to agree a 25-30 year PG waste contract with Viridor would be a travesty. Council Officers admit the building work out at the Trident Park Site over the last 6 Months has been unlawful. Viridor rejected their requests to stop work. You are permitted under the Public Contract Regulations, s.23(4), “not to select” Viridor for this“grave misconduct”. CEO Jon House does not deny this – the officers should not be concealing this and threatening a £3million penalty if you do not select Viridor. Cost Concealed- of Carbon Tax etc. PG wrongly says the waste projections meet Welsh targets. They ignore the target set in July for decreasing Municipal waste per person at 1.2% pa (30% over the 25 years). They limit recycling to 65% for 25 years, far below the expected maximal levels of 90%. PG wrongly claim no planning and permitting problems for Viridor. They ignore the High Court action started against the permit. 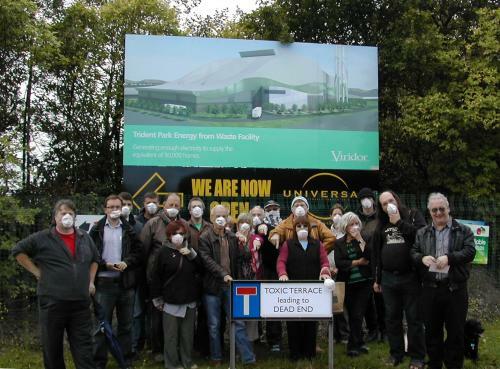 The Trident Park site being at flood risk, and Viridor's false information on incinerator bottom ash being ‘inert’ are both issues ignored in planning. PG has thus ignored significant legal and environmental impediments – a proper re-assessment could score Veolia higher. PG claim this contract is good or best value, but they want to keep their project. Where is the independent assessment from your finance officer or Auditor, or warnings about rushing to approve legal obligations and £250 million commitment without Councillor scrutiny? The serious over-estimates of future waste tonnages have been referred to the Wales Audit Officer, Huw Vaughan Thomas. It cannot be ‘best value’ to over-contract for waste 10 and 20 years to come. You owe it to Cardiff people to require reliable independent scrutiny. Prosiect Gwyrdd Report to Council on 28th Feb. 2013. 76. For further legal implications on key contract provisions please see exempt Appendix C to Appendix 1. Why is this important Carbon tax information not included in the report and why is the public prevented from seeing it under the ‘exempt’ provisions? What of other legal changes foreseen, eg. the EC declaring that plastics must be recycled, and banning recyclables from incinerators? Will future Cardiff Councils have to bear the costs? First, total residual waste is reducing (~1.7% per yr) and the Welsh target is continuing reduction at 1.2% per annum. PG and Cardiff projections take zero reduction, ignoring the 1.2 set last July (in Municipal Waste Sector Plan). Second, the WG target for recycling beyond 2025 has not been set. The expectation (from the Env Agency) is 80-90% recycling is feasible with current technology, so levels at the upper level need to be taken into account. The 71 489 tonnes is based on 35% delivered to the incinerator, 65% real recycling. If 25% is delivered to the incinerator (ie. 75% real recycling plus 5% ash recyclilng) the total is 51100 tpa. If the 1.2% per year decrease is included, the incinerable waste drops well below 50 000tpa. Fourth, Cardiff’s waste is already (2011/12) below the base figure by 4.5% (other Councils even more) and is likely to decrease further as the fortnightly black-bag collections bite. Obvious demand: make the contract flexible, allowing the 56 056 tpa to revised down after say 5 years and each 5 yrs after, as data on decreasing waste and higher recycling rates comes in. Criteria for the rejection of economic operators. # that Viridor gave false information that incinerator bottom ash is ‘inert’, so cannot implement the planning permission as it stands. On 13th Feb. Cardiff Council planning committee considered over 6 months late a dozen applications to approve or reject Viridor's incinerator. “This is further evidence of what a complete shambles council policy is. They have a Court action against them for failure to act over 6 months against Viridor's unlawful construction of an incinerator. The High Court legal action is to kick off in two weeks." “Cardiff Council will have to face up to the fact sooner or later that Viridor have been quite prepared to proceed without proper authority and contrary to planning regulations… and utter contempt for the views of local residents and businesses about the economic and health detriment.."
Adventurers Quay Management Company Limited and the 226 residents who live there. 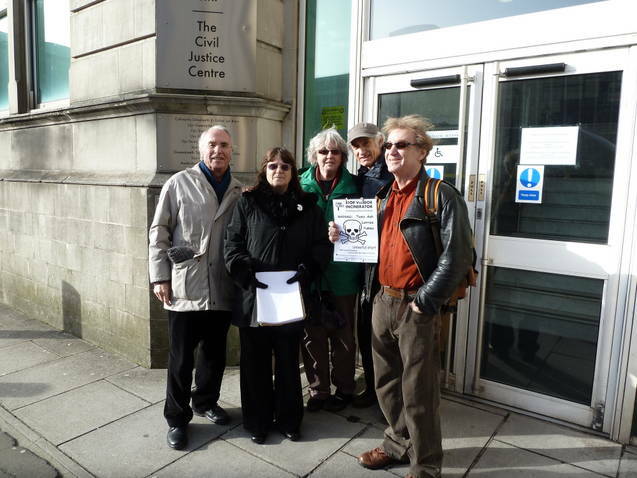 wrote to County Hall expressing support for Cardiff Against the Incinerator. All the applications were approved, if with some opposition. Cllr Adrian Robson in particular tried to object on grounds of flood-risk, but he was bullied by officers who insisted he needed technical reasons. A letter from Environmental & Public Law firm, Richard Buxton, was distributed to the Committee, warning them to expect High Court action. A Councillor brushed this off, saying legal action would follow whatever they decided. The Council legal officer wrongly dismissed Buxton's arguments as already addressed in their report, apparently unconcerned with professional accuracy. The High Court judge agreed yesterday, 7th Feb. to order "expedition" of the case.. Both Cardiff Council and Viridor opposed this, seeking to delay the case for the Planning Committee scheduled for 13th February. Said Max Wallis for CATI: "This was delaying tactics. The officers do not propose enforcement but approval of defective applications outstanding since August. This cannot rectify Viridor's unlawful development." "We are pleased the Court has rejected Cardiff's request for further delay, when they should have acted 6 months ago"
CATI has repeatedly asked for enforcement action since the start of work on 20 July. The law firm Richard Buxton demanded action again in December, when the officers agreed a compromise of taking the issue to the Committee of 9th January. They turned down the request for an immediate Stop Order, on the bais that little w2ork was to be done over the Xams/New year period. The Planning committee failed to take action** on 9th February, by chairman's casting vote, despite strong pleas from Splott councillors, Huw Thomas, Luke Holland and Gretta Marshall. Papers for the 13 Feb. Planning Committee should be available later today. But whatever transpires at that Committee, the case will be up in Court within 2 or 3 weeks. The unprincipled partnership board blunders on in choosing Viridor as preferred bidder. # P Gwyrdd ignores this company's “grave misconduct” in building their Cardiff/Splott incinerator unlawfully – Cardiff Council is complicit in Vriidor's law-breaking. # P Gwyrdd was biased to incinerators from the start; now incinerators are proving more costly and outdated. # P Gwyrdd partners agreed to limit recycling and composting, to guarantee 35% of waste goes for incineration, yet incineration is more costly than recycling. # P Gwyrdd was set on a 25-year contract from the start and refused to look for normal shorter contract periods (eg. Bristol's 9 years at Avonmouth); they would bind Council taxpayers to Viridor even though better and cheaper waste treatments and recovery are being developed. # P Gwrydd falsely says they will only burn "waste which cannot be practically recycled or composted" when they are guaranteeing waste volumes (or payment in lieu) equal to 35% of the municipal waste. # P Gwyrdd's proposed guarantee of 172 000 tonnes per annum ignores the Welsh government target for reducing municipal waste (by 1.2% per person per annum), which means 30% too much by the later years of the contract. In fact, waste volumes have been decreasing faster than this since 2005. Max Wallis of CATI says "it's a great scam. Council officials claim Councils are bound into this contract, when independent QC advice says not. Russell Goodway (chair of PG) refused to challenge the project - this needs to be overturned by the other Councils as well as his Cardiff colleagues." Cardiff Labour Cllrs falsely say Viridor has planning permission for the Splott incinerator. Cardiff Council officials themselves say (report to 9th Jan Planning Committee) the current construction is "unlawful". Worse they pretend the incinerator ash is non-toxic and can be re-used, yet Cardiff Council's own consultants (Atkins) reported in October that some ash is so toxic that it's classed as hazardous waste. Cynically called Project Gwyrdd (Green), Cardiff Council and Councillor Russell Goodway - are locking themselves into a 25 year PFI-style contract, bribed by 25% subsidy from the Welsh Government. development of an incinerator in Splott/Cardiff Bay. Finance costs and the Business Case have completely changed since P Gwyrdd drew up their outline business case in 2009-10. Waste volumes have decreased and recycling has soared. Yet the revised Business Case has been kept secret. Russell Goodway and P Gwyrdd officials hope to bounce it through all 5 Councils with minimal scrutiny before end of March. Where is the scrutiny! The fight goes on! Cardiff ignores the fact that the Viridor incinerator is being built illegally. 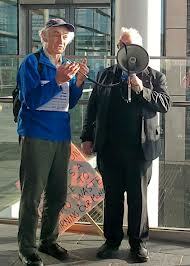 CATI Cardiff against the incinerator High Court Action launched against Viridor's unlawful development of an incinerator in Splott/Cardiff Bay. The unlawful development started in July last year, and Cardiff council has repeatedly refused or delayed taking any action. The High Court application seeks an Order that Cardiff issue a Stop Notice and/or issue enforcement proceedings, with a hearing within 22 days, with expedited substantive hearing of the case within 8 weeks. Splott residents were 'assured' by Labour candidates who told them they were against the incinerator. But they have been pretty quiet, accepting officials' pretentious barring of their participating in votes and discussions on the Viridor incinerator. And the the Splott residents will be distressed to find there neighbourhood full of lorries from all over south-east wales to feed the massive incinerator. Residents of new luxury flats in Cardiff Bay will get toxic smoke from the incinerator drifting past their windows and balconies...happy days!! Business advisor to Councillor Russell Goodway is Tara King, who led the Prosiect Gwyrdd team at £70k pa before moving to a higher-paid council post. She assured the Council committee that Viridor's incinerator ash is "non hazardous", despite CATI's evidence to the contrary; then the Council's consultants (Atkins) agreed with CATI that the ash is potentially hazardous and Viridor's claim of it being "inert" is wrong.